As per the OECD report in 2007, wheels and tyres are among the most counterfeited products list. EUIPO report states that the tyre industry loses EUR 2.2 billion every year due to the presence of counterfeit tyres in the EU marketplace. 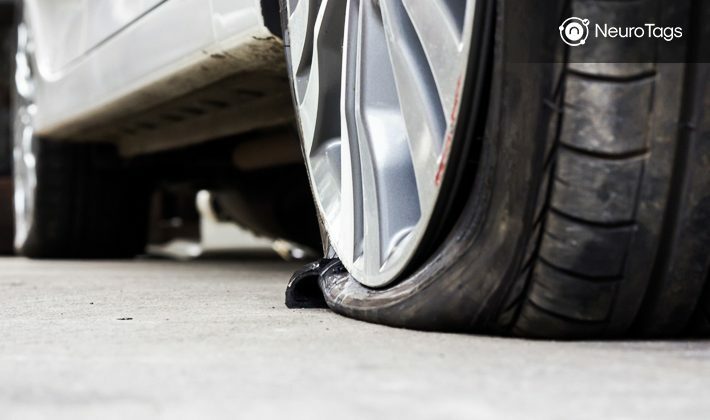 Fake tyres dangerously increase the chances of road accidents as they don’t follow the security guidelines and are made of low-quality materials. In a study conducted on accident conditions, it was found that tyres with the tread depth of 1.6 mm or more minimize the grip accident probability on wet or snowy roads by 84% and the probability of accidents due to tyre blowout by 86% in comparison with tyres with lesser tread widths. All the legitimate tyre brands follow these standard design requirement and use high-quality materials to reduce the chances of the accidents. Genuine tyre brands use good quality materials for manufacturing and do intense testing of the tyres to make sure they are safe and longlasting. They also test the tyres in extreme climatic conditions to make sure the tyre performance is good in very hot or cold weather. On the other hands, counterfeiters manufacture tyres using low-quality rubber and the metal bought from the scrap market. Their only goal is to make quick money. Also, they many times purchase old used tyres and doctor them to look like the new keeping the brand marking intact. Counterfeit tyres are more likely to burst or puncture in hot weather. Also, fake tyres are not as durable as the genuine tyres. The buyers need to be careful while buying the tyres and make sure that they always purchase genuine ones. Counterfeit tyres are usually sold at heavy discounts to tempt the buyers, but these tyres may land the vehicle riders into dangerous or fatal accidents. Counterfeiters have become so expert in copying the original brands’ products and packaging so well that it is tough to differentiate between authentic and counterfeit products. It is needless to say that counterfeiters eat up a big chunk of the brands’ revenue and cause serious damage to the brand’s perception. Tyre brands can save their customers from the counterfeiters by deploying a robust Anti-Counterfeit solution. NeuroTags provides one such solution that can prevent the counterfeits by 100%. NeuroTags Anti-Counterfeit solution is very easy to deploy and prevents the counterfeits completely. The solution is based on patent-pending algorithms and backed by AI. For prevention of counterfeits, NeuroTags provides algorithmically coupled tags to be applied to tyres. Each tag consists of two unique codes, one open and one protected (usually by a scratch layer). NeuroTags also offers the paperless warranty, loyalty program, and referral program on the same tags to increase sales and retains customers. This article explains the solution in greater detail.